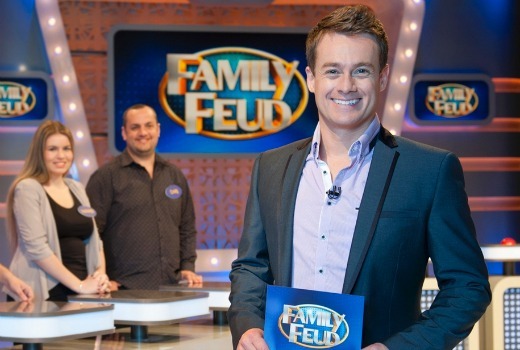 TEN has made the surprise programming decision to no longer simulcast Family Feud on its multichannels. As of last night it returned MASH to ONE and Frasier to ELEVEN at 6pm. This marks the first time since the show’s 2014 launch it has seen any broad differentiation (there were occasional switch-ups where Live sport intervened). Last night it pulled 346,000 viewers on the single TEN channel. On Mondays so far this ratings year it has been averaging some 411,000 viewers over the three channels. But the upside is it pulled 55,000 for Frasier and 40,000 for MASH. I live in Western Victoria and now I know why the watermark is smaller on Family Feud than on their other shows. Simulcasting is a useful way of introducing a new show to viewers but it will split the audience and make them lazy. The main channel is where the most advertising money is earned so it makes sense to “bait and switch”. I’m surprised it lasted 3 years but not surprised that the replacement shows are just repeats of repeats. Merging 3 eps of M*A*S*H together allows 10 to drop some opening credits and put in more ads. It seemed like such a waste of the have three different channels only to show the same thing on all three at the same time. Hi GMR, Tony Barber was the original host, followed by Daryl Somers, Sandy Scott (when my family was on it), Rob Brough and John Deeks and there was also Bert’s Family Fued. Was never a fan of Grant prior to this, but I must say, he is fantastic on FF and has made the compares role funny and just a bit risqué at times. I guess we could be talking about the esoteric commercial matter of providing lucrative time slots for advertisers, maybe networking a reasonably popular early evening games show depreciated it’s value to some degree. Grabbing the audience to stay with Ten during prime time until that magic 8-9 pm bedtime hour when all early risers want their sleep is likely another priority too. David how did neighbours do last night looks like its taken a hit with no ff. Would be good if Eleven had The Simpsons seasons 1-10 on at 6pm rather than Fraiser which is already on earlier in the day. If less choice is your aim then surely netflix is not the answer. You will have more choice than ever! A very positive outcome in my view. Irrespective of its merits as a program, having Family Feud across all of its channels makes the network look a little lazy and not quite bothered with presenting a diverse schedule. Yes it is being replaced with much seen repeats but it does add some variety and, for those not interested in Family Feud, means those viewers are not necessarily lost to the network entirely. As others have said Ten tend to have a real lack of content post 8.30pm some nights. I think part of the problem is their re-screening of The Project in a later evening slot each night, essentially burning up two hours of prime time at the cost of a single hour of fairly innocuous content. Replacing that repeat with something more substantial might be a good move as well at this time. So Ten – clearly it didn’t “just work” ….. with what seems like no promotion or notice that there was something different on, an extra 30,000 people watched your network across the 3 channels last night compared to the average with a simulcast. In coming weeks, you would think it might become even more evident that this decision should have been made sooner. I know it is on Ten and all but surely it can’t survive on those numbers. Is discontinuing the simulcast the beginning of the end for FF. It often gets numbers below 400k. If you want to watch Family Feud you will watch it regardless of how many channels it is on. By having it on 3 channels at once Ten have been doing themselves out of an extra 100k viewers who would watch something else on ONE and Eleven and last nights’ figures show that. Some will argue being on 3 channels means 3 lead-ins but I suggest that effect is limited to a very small number of people too lazy to change channels or leaving it on in the background. Seems the change was sudden so only time will tell how how much Ten will now benefit from this change. I heard on WIN TV that They will continue to simulcast on One & 11 while Local News is on WIN (Except Regional WA, Mildura, Mackay). Ditto regional Queensland. We don’t watch it live, preferring Rob Brough’s local news at 6pm. Ironic as Broughy was a former FF (the first?) compere. By recording it we can fast forward the commercials and get through it in just over 20 minutes. Same procedure for Hot Seat, plus skim past Eddie’s awful, boring “chat” with the contestants. I normally watch the WIN news up until Sport comes on and turn over to FF for Fast Money and Neighbours. Annoyed that they have shoved Couch Time in between FF and Neighbours again. Of course this changes on a Sunday night as WIN News is on at 5.30pm on weekends. Unless they’ve changed this too? If not, I assume WIN viewers (or majority of) would receive FF on WIN, Mash on One, Frasier on Eleven on Sundays only. Hopefully it will completely disappear soon. It’s painfully lame. So don’t watch it. Obviously approximately four hundred thousand people enjoy it. I never understand comments like this. Just because you don’t like something then it shouldn’t be on air? Those who do enjoy it shouldn’t have the opportunity because you think it’s lame? You know there are loads of other shows to watch on FTA, pay TV, streaming services, etc? FF being on half an hour each day on one channel has no direct impact on you at all. I love Family Fued. Grant Denyer is so much fun. Agree he comes across as more relaxed than on $MDM. I love how he interprets other people’s stories and jokes. What an artist! Yes, he is so quick. Like last night when talking to a contestant whose wife the man had met in a fruit shop. “I suppose you were attracted to her melons”. Boom Boom. Enjoyable show, he was wasted on Sunrise weather and AGT.